Two Bit Circus, the new entertainment center opening in the Arts District on September 7, is being billed as a “Micro-Amusement Park.” But when you step inside the 50,000-square-foot warehouse on Mateo Street, you’ll realize there’s nothing micro about it. The “Midway” features carnival-style games that have been updated to use giant touch-sensitive screens. Throw balls to pop virtual balloons or swing a wrecking ball to demolish an on-screen building. Two Bit Circus offers a few retro arcade games like Skee-Ball, but also plenty of never-before-seen games, escape rooms, and interactive experiences. The duo of dudes behind Two Bit Circus create their own games and also work with outside software developers. As Two Bit Circus, they’ve been designing games and interactive experiences for corporate clients for years, and they’re launching the micro-amusement park as a way to give their creations a permanent home and share them with the public. While visitors are welcome to hang out in their own private VR worlds, Two Bit Circus encourages people to interact and have fun together. 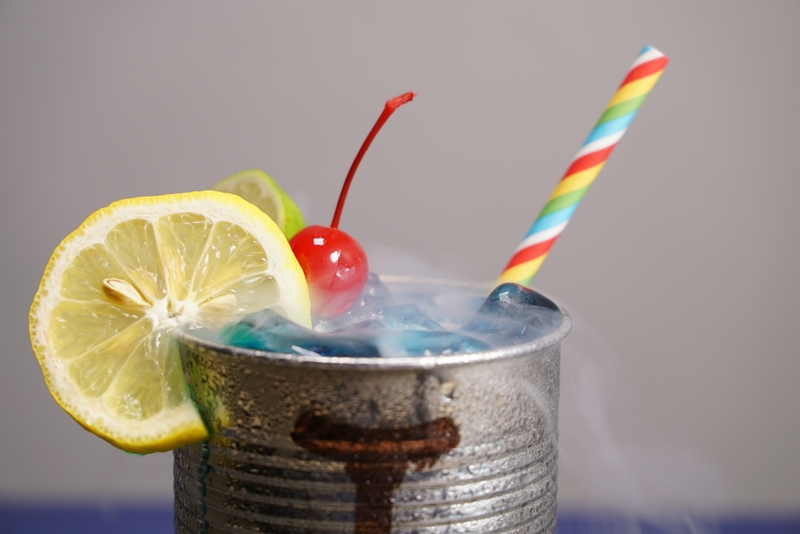 A robot bartender will mix you a drink—it may even flirt with you—and a box car serves carnival-inspired snacks, including plenty of vegan options. Wandering circus performers, as well as the games themselves, hold clues to real-world Easter eggs. 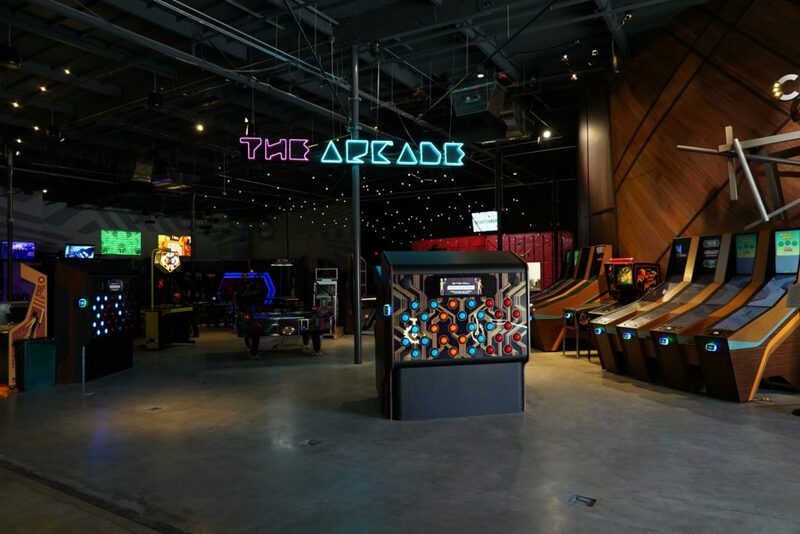 At the center of Two Bit Circus’ new space, the “Arcane Arcade” offers oversized videogames, many of which require more physical involvement than simply manipulating a controller. To play Button Wall, which is sort of like a vertical version of Twister, you’ll press yourself against a panel of light-up buttons. Another game requires you to position your body in different shapes and feels like something you might see on a Japanese game show. Whether you’re hoping to battle swamp monsters in a cooperative VR adventure, rent out a private gaming cabana, or find out if you’re a better wine taster than your friends, Two Bit Circus is a lot more fun than playing games alone at home. Two Bit Circus is located at 634 Mateo St., and will open to the public on Friday, September 7. Hours are Monday-Thursday, 4-10 p.m., Friday, 4 p.m.–1 a.m., Saturday, 10 a.m.-1:00 a.m., and Sunday, 10 a.m.-10 p.m. Admission is free, but to play games you’ll need a Playing Card, which you can load up at the front desk. Advance reservations for popular attractions can be made online starting August 22.